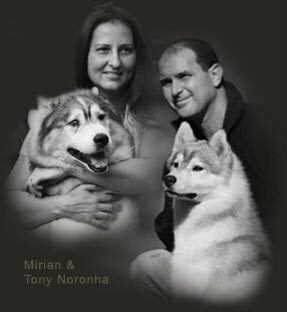 Established in 1999 by José Luiz Cunha de Vasconcelos, Tony & Mirian Noronha, Tunghat's Siberians has been striving for a serious breeding work in Brazil. With advertisement, imports of siberians as well as exports, show results, great facilities for the dogs' welfare, Tony Noronha and Tunghat's Siberians search for a standard in both breeding and showing with profissionalism and love for the dogs. Since its foundation, investiments in structure, research and trips aborad and in Brazil have been made aiming our hobby, the siberian husky breeding and always having in mind the betterment of the breed, specially in Brazil. 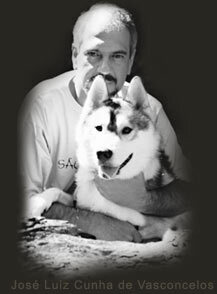 Later, important imports from outstanding kennels and bloodlines mainly from USA, the siberians' motherland, brought into our breeding program the quality, credibility and respect from fellow breeders all over the world. This confidence can be felt through several partnerships we have been establishing with some serious and reputable breeders from different places abroad, what lets us to exchange experience and refresh our bloodlines according to our breeding program. Now this recognition is being translated by a constant request for puppies from several corners of the world, showing us we really may be in the right path. Since 2000, Tunghat's Siberians has been given the title of Brazil's # 1 siberian breeder for 6 years in a row. Nowadays, our home bred siberians can be found in several brazilian states as well as in many different countries, such as USA, Canada China, Singapore, India, Israel, France, Malaysia, Thailand, Mexico, Chile, Argentina, and so on. All these siberians, besides being their owner's best companion, are having important show results and breeding production, for their owners' pride, and for our own.